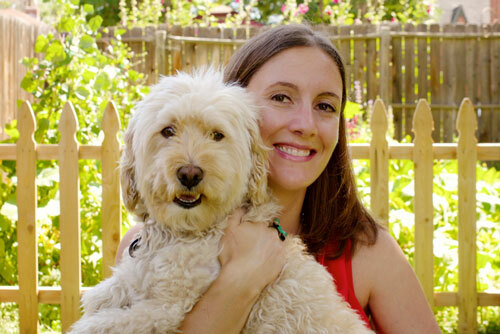 Join gardening nerd, Master Composter, and psychotherapist Kate Daigle, MA, LPC for a fun and nourishing workshop practicing the concepts of mindfulness while cultivating your own beautiful garden! 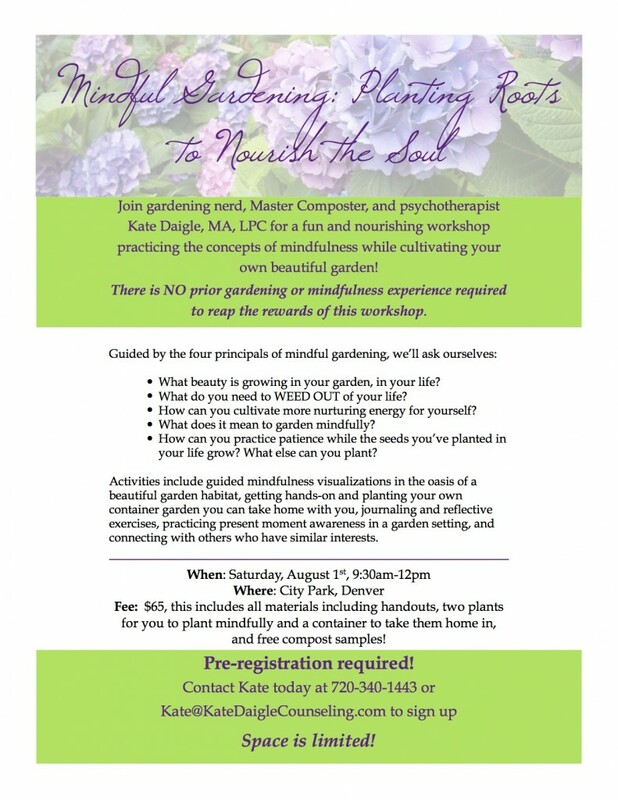 There is NO prior gardening or mindfulness experience required to reap the rewards of this workshop. • What beauty is growing in your garden, in your life? • What do you need to WEED OUT of your life? • How can you cultivate more nurturing energy for yourself? • What does it mean to garden mindfully? • How can you practice patience while the seeds you’ve planted in your life grow? What else can you plant? Activities include guided mindfulness visualizations in the oasis of a beautiful garden habitat, getting hands-on and planting your own container garden you can take home with you, journaling and reflective exercises, practicing present moment awareness in a garden setting, and connecting with others who have similar interests. Fee: $65, this includes all materials including handouts, two plants for you to plant mindfully and a container to take them home in, and free compost samples! Pre-registration required! Contact Kate today at 720-340-1443 or Kate@KateDaigleCounseling.com to sign up – space is limited! Last year’s workshop was so much fun — looking forward to this year!